Until recently, the deployment of an IoT system was often a lengthy and costly process that failed to live up to expectations. In many cases, a small army of consultants was needed to resolve issues related to sensor connectivity, wireless data transfer, network security, and business analytics. The Industrial IoT solution of VersaSense has changed this for our growing multi-national client base, each of whom face a complex set of deployment challenges. Industrial manufacturers, utility providers and similar institutions value VersaSense’s unique ability to deploy large IoT networks in a single day and are applying our solution portfolio to achieve operational efficiency gains of 5-10%. This empowers businesses to focus on optimizing their processes while eliminating worries over network connectivity, reliability, security, etc. The explosion of industrial IoT applications has brought with it more heterogeneous requirements in terms of radio connectivity. VersaSense supports a portfolio of best-in-class network technologies, each offering tradeoffs in network performance, range, reliability, and deployment styles. The product offering of VersaSense stands out by spanning a wide range of wireless connectivity for Industrial IoT, providing consistently reliable and secure data pipes for aggregation and visualization. VersaSense is unique in seamlessly combining NB-IoT with other network technologies, such as SmartMesh IP and LoRa, to resolve its clients’ IoT challenges. IoT system requirements vary greatly in terms of the environment that they need to cover. Many companies can generate significant business value through the monitoring of business-critical assets that are housed within a single building. This is best accomplished with an ultra-high reliability and long-battery-life wireless mesh network. Other business cases may require infrequent telemetry from assets such as silos that are distributed on a multi-kilometers production site, or that move across a site. This is most economically served by a private and optimized LoRaWAN network. Conversely, where assets are installed in the field at customer sites across different regions or even countries, NB-IoT networking provides a managed and economical approach to global connectivity. 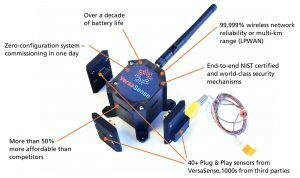 VersaSense is the first company in the world to offer an industrial plug-and-play NB-IoT solution. Where other providers might give you a development board, the IoT solution of VersaSense enables clients to immediately connect to its portfolio of thousands of sensors and begin generating business value. NB-IoT enables organizations to deploy a network of IoT devices that provide an excellent trade-off between performance and battery life. As NB-IoT connectivity is managed by a telecom operator, it offers an extremely low-complexity entry point for the Industrial IoT. The NB-IoT protocol is already deployed worldwide and is supported by most telecom operators. 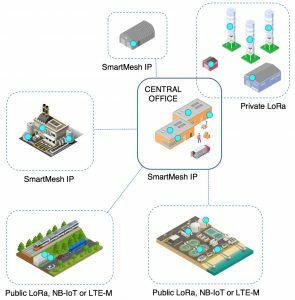 VersaSense is unique in empowering its clients to combine NB-IoT with other network technologies such as SmartMesh IP and LoRa as required to resolve their IoT challenges. The plug-and-play nature of the VersaSense IoT Fabric enables customers to instantaneously connect various assets in a reliable and secure way without the need for custom hardware or embedded software development. Over a thousand zero-configuration sensor types can be connected to the IoT Fabric devices, which are powered by VersaSense’s award-winning MicroPnP technology. VersaSense IoT Fabric enables clients to immediately connect to thousands of sensors and begin generating business value. Software is critical to powering any industrial IoT solution. The Industrial IoT Fabric of VersaSense seamlessly unifies the selected network technologies with consistent APIs and tools, enabling clients to select the right tool for the right job for any business case. 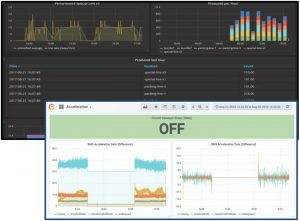 Cloud software continuously monitors and visualizes network status and performance, reducing management overhead and eliminating network down time. Clients may use these network management tools directly, or delegate the management of their network to VersaSense. The Industrial IoT Fabric of VersaSense seamlessly unifies the selected network technologies with consistent APIs and tools, enabling clients to select the right tool for the right job for any business case. A rich set of visualization tools in combination with state-of-the-art time series databases enable application experts to gain deeper insights through intuitive and tailored dashboards. These insights reveal where and how core industrial processes can be optimized. By taking proper actions, managers can further improve productivity and quality, while saving time and money. In a nutshell, VersaSense delivers the right mix of reliable and secure data pipelines from business assets to the cloud along with the tools that are required to make best use of that data. A rich set of visualization tools in combination with state-of-the-art time series databases enable application experts to gain deeper insights through intuitive and tailored dashboards.